In Honor of Hispanic Heritage Month, and our friends at the Latino Policy Forum, Women For Action interviews Sol Flores, Executive Director of La Casa Norte, nominated a White House champion and board president of the Latino Policy Forum in Chicago. Sol has been committed to years of tackling poverty and homelessness throughout the city. Her family heritage truly has laid the groundwork for her efforts today by fostering more than 200 kids throughout her upbringing! Her work as a community leader is evident. Sol also brings her passion for civic engagement and leadership to her board work at the Latino Policy Forum. 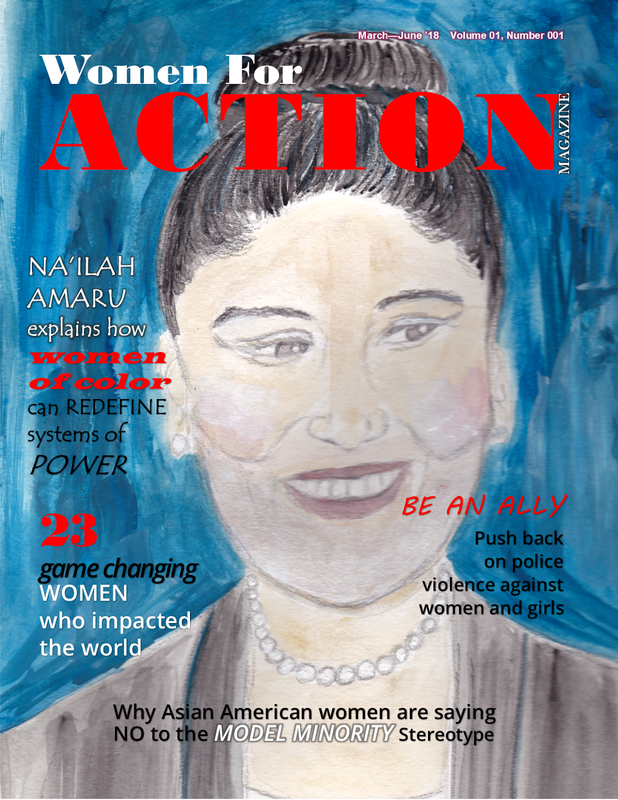 Women For Action: Can you tell Women For Action a little about you? Sol Flores: I was born in Chicago. I studied political-science in school and was always interested in community issues. I grew up in a very politically active household. It wasn’t like we voted for politicians but we were involved in community development. These experiences led to my commitment to volunteer full-time after being laid off from a job in management consulting. My earlier work experience in the for-profit sector was fantastic and interesting. I was able to travel around the world and work with really smart people. At the same time, I felt like there was something more out there for me. So I always had a sense that it was not the work for me. I did it for a few years and thought, “What else now?” Not too long after that, I was laid off. It was a wake-up call. I was volunteering at a local church in my neighborhood, and was involved in different community issues which opened the door to new relationships and job offers. When I talk to people today and they say,“Oh I want to work in nonprofit.” I ask them, “Do you volunteer anywhere now?” Surprisingly, many of them don’t. I would explain to them that, when I volunteered, I received three job offers. It gives you exposure to the type of work that you might be doing or the type of issues you might care about. Simultaneously, I met two activists by the name of Peter McQueen and Keith Decker who eventually became the co-founding board members for La Casa Norte. (They are Vietnam veterans and activists of poverty and homelessness.) They approached me and asked if I would be interested in helping them with a developing non-profit idea that would aid youth and family homelessness. I said, “Sure.” I did not know to the extent my commitment would be. Over the course of four months, I became more engaged with them and we started working on a strategy, to get the nonprofit off the ground. At the end of the four months, they proposed that I act as executive director for the developing organization. I was hesitant at first, but they explained that they would support me. There are moments in your life when you step out on faith.You don’t know how it’s going to look. You don’t know how it’s going to feel. But you just know that it is the right thing to do in the moment. Of course since then, I’ve also learned that, “Opportunity for leadership isn’t always neatly defined and convenient.” It’s not when you want it or how you want it. That was twelve years ago, I became the Founding Executive Director for La Casa Norte. On July 1st 2002, I hired our first case manager. There was two of us then. We began serving youth and families where homelessness are at risk. We started that first year serving a couple hundred people. Over the course of the last 12 years, we served more than 20,000 people. Over the years, we’ve developed a niche and our two founding board members continue to be involved until this day. Women For Action: In honor of Hispanic Heritage Month— Can you tell me a bit about your family background? When people think about what’s community development or what’s political— I don’t think my grandmother ever went to a ballot box, but my family did things that were political. They went to marches. They thought about student rights, rights of Latinos, families, lots of other things beyond what we conceive about traditional electoral politics. Women For Action: Do you have a family? Sol Flores: I have a six-year-old niece who I spend a lot of time with. 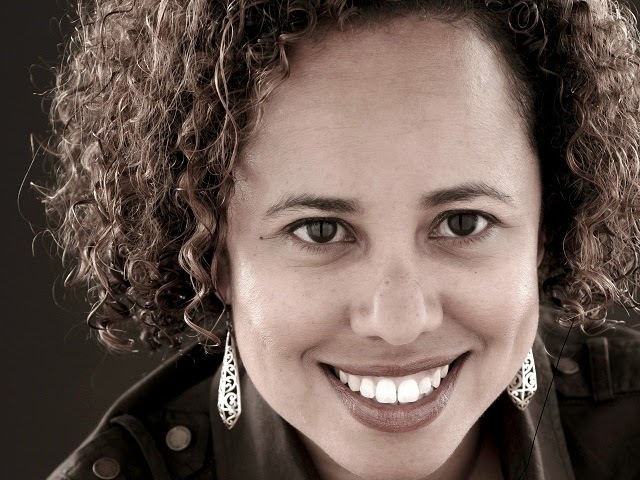 Her biracial heritage exemplifies the sign of our times particularly for Latino communities too. She is what we call, “Blackarican”. Her father is black and her mother (my sister) is Puerto Rican. I point this out to you because the work that I do in La Casa Norte over the last twelve years— we’ve also seen this significant increase in the number of bi-ethnic, biracial or multicultural children. It’s less stigmatized. We have a lot more people identifying as black and brown, brown and white, black and white. So my niece is an example of that. We are trying to make sure that she gets introduced to both sides of her family, and attempting to balance her cultural ethnicity, so that she is able to find value and an identity that works for her, on both her African-American as well as her Puerto Rican side. In my family, we have very strong Afrocentric roots. Visually or stereotypically we look African-American. We don’t look like Jennifer Lopez. We don’t have light-skin or straight hair. So we definitely pass for African-American. But living in United States, I am clear that there is a cultural difference. So when I think about how I’ve grown up and my experiences, I am much more aligned with a general or generic Latino identity than I would find myself with an African-American identity. I feel more comfortable with people of color in general. But I have a stronger cultural pull and alignment with Latinos than I do with the African-American community. 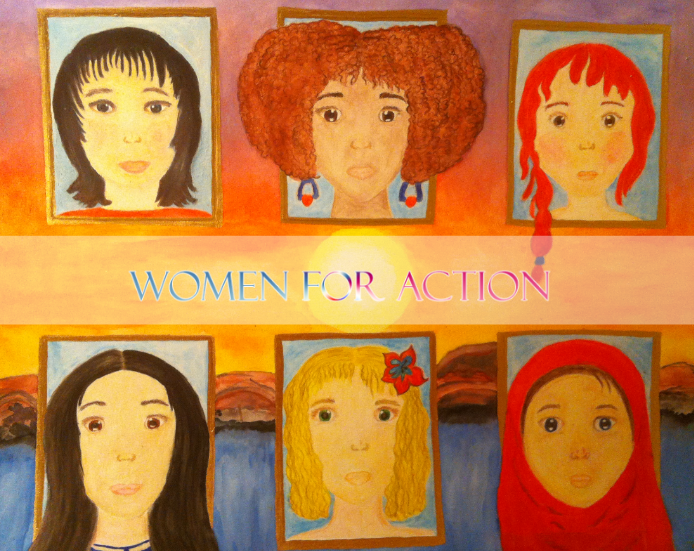 Women For Action: What are some of your hopes and dreams for the Latino community? Sol Flores: The discussion about immigration reform, I’d like to see some sort of resolution. My family was migrants not immigrants. You can’t call a Puerto Rican an immigrant because we are U.S. citizens. We’ve migrated from one part of the country to another. We do not have that type of legal status and experience. We do have experience with being migrants, being “others” and coming to a place where we are not accepted, being discriminated against, and having to build our roots. So we have a cultural alignment with other Latino immigrants. I meet people all the time that seem to be very much American. Yet they are undocumented immigrants because they were brought here as children. I hope that there will be resolution around that in the future. The statistical reports state that by 2040, nonwhites will be the majority in the United States. Data: Fueled by immigration and high rates of birth, particularly among Hispanics, racial and ethnic minorities are now growing more rapidly in numbers than whites. So my hopes is that when we become the majority, or on our path of becoming the majority— that it isn't just in numbers but it is in real positive accomplishments and achievements. Will our political base expand? How do we see more Latino elected officials? How do we see more Latino leaders in the corporations that are in our cities or in the corporations that we support with our dollars? How do we see more people who look like us and have our shared experiences in places of affluence and influence? That’s one hope and dream. But what I will also settle for is just that the number of Latinos who graduate from high school and college goes up and that Latinos have a real chance and opportunity at the American dream! By 2040, it’s not that just it’s more of us, or that there is just more poor Latinos, and we are still in the same situation in which we were in 2014, which is the highest high school dropout rates, the lowest achievement rates in education and the highest number in poverty. My hope for the future is that there is positive accomplishments and achievements for our community. Women For Action: As you know the Latino Policy Forum has proposed an initiative to get 5000 Latinos registered to vote this year. How are you personally working to bring this mission into fruition? Sol Flores: La Casa Norte has signed on as an organization that will also do voter registration. We think that this is particularly important because the clients that we represent are often disenfranchised, disconnected and displaced. We think that it is important that they have an opportunity to engage in their civic light. Giving them a way to register among the people they trust and the people they know at La Casa Norte is very important. We are really excited about that. A lot of our staff have been trained to do voter registration. Personally, I am interested in participating in more civic engagement, advocating for disenfranchised folks and being involved in local elections. I think that it is important to share with people I know, my peers, those within my generation and generations below me, that are extremely apathetic, and completely disconnected to that part of civic life. Women For Action: So your role would be considered an extremely powerful one. Would you say that your culture is traditionally supportive or conflicting with women being in this sort of role? Sol Flores: In my family we have extremely strong women. I grew up with strong positive powerful matriarchs, a powerful aunt, and a powerful mother. The latino community leaders I have seen have been mostly composed of men. I think that’s problematic, for sure. I think that the world has changed. I don’t know if they necessarily see that it’s changed. I think that there is this whole next generation of Latinos who aren't asking for permission from the old guard. They are kind of picking it up on their own and saying that, “We’re gonna form our own coalition. We’re gonna find like-minded people on our own to do this.” Because the way the world is now with technology, connectedness, that can happen! I am also thinking very hyper locally, when I think about who are some of these perceived Latino leaders in our city. They are almost all men. That has to change. Here is one example of that. There’s no Latina aldermen in Chicago. In Chicago, the African-American population has went down, and the only population increase was Latinos. Due to the changes, the city remapped, redistricted and included more Latino maps. However, there was not one female Latina elected official in the city council. That feels extremely problematic to me. 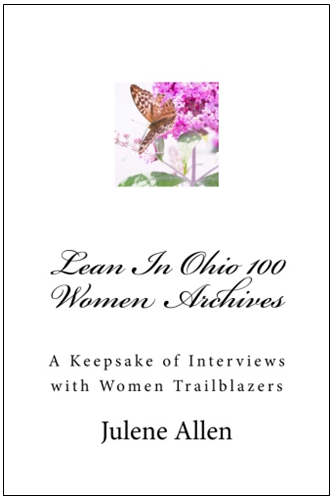 Women For Action: Have you been faced with any obstacles as a woman in your field? Sol Flores: I think it’s mixed. When I think about human services work and nonprofits, it is usually heavily female. The leadership isn’t always necessarily female. There are a few female leaders who I’m aligned with and support. That is sort of how we work together. At the corporate level, pertaining to influence and affluence, most of my counterparts are white and male. That’s changing slowly. Closing the gap can be challenging if you don’t have a shared experience or background. When you have an affinity with someone, it makes a world of difference, in terms of how you communicate, and how you negotiate that relationship. Women For Action: Could you see yourself extending your work to your family’s native home Puerto Rico? Sol Flores: I feel strong cultural ties to Puerto Rico and I visit the island all the time but I do it as a tourist. I want to support nonprofits there. I don't know what the issues are at a local level. In general though, when I think about some of the more macro challenges in Puerto Rico, the challenges of economic development, the loss of jobs and people feeling like they have to leave the island and come to the mainland to work are key. When I think about my work around community development and housing, I think that it is important that it happens there. Women For Action: What career achievements are you most proud of? Sol Flores: I am so proud of working with La Casa Norte, my colleagues, the stakeholders and the people who supported our work. We actually brought opportunities to end youth and family homelessness in Chicago to fruition, though it’s going to take a lot different people from a lot of different backgrounds to solve it. Yet I am proud that I can look at a specific family or I can look at a specific young person and know today that they’re housed. They are not out on the street and they are no longer homeless. As a result, their structuring for life is transformed. 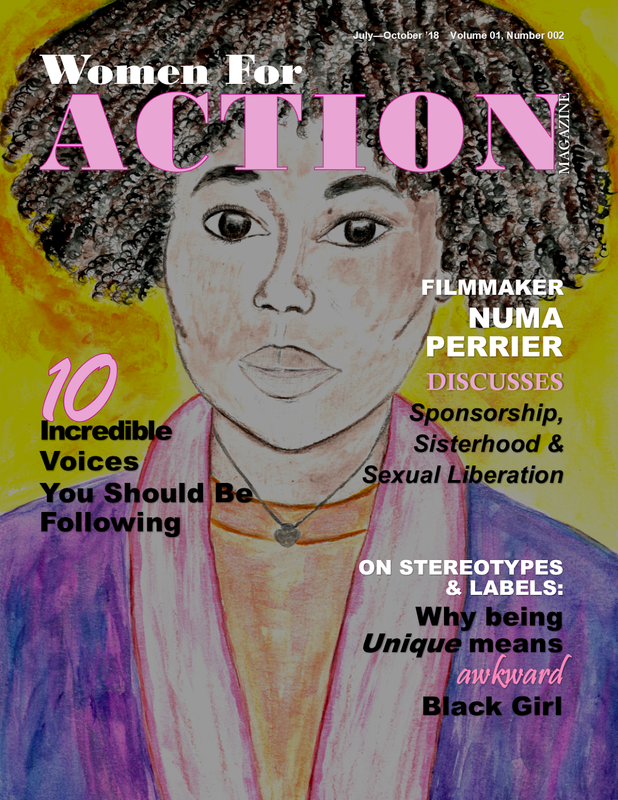 Women For Action: Are you working on any new projects? Sol Flores: We have a new project that we are working on. It is an expansion of our current work. We are actually looking into raising money to build this fantastic community center with housing. It is an innovative economic redevelopment project for the west side of Chicago. It is completely community-driven. Folks have come to us and said, “This is a need that we have. How can you help us solve this?” Our staff and board of directors have supported this new development. It is far more significant than any other development that we have done in the past. The funding will require a large budget. When it’s finally completed, we will be able to look at it and say, “Look at how we changed the face and the landscape of our city as a result of building this project.” It’s pretty exciting. The community center will offer housing in service of homeless youth and families. We are planning a nutrition center. People will have access to healthy meals and learn how to eat healthy. It will also contain a health care center for the homeless. We are also what we called a medically underserved area, which means people don’t have a lot of access to healthcare and medical care. We will have that opportunity to fulfill some of the need. We are going to run an after school and an employment program. There is a demand for these type of initiatives in our local community. It would actually draw people from across the city to come to the center. The architectural plans for the space is beautiful. We will be changing our local physical landscape. Right now there are foreclosures, blight and abandonment on the westside of Humboldt Park. This new project will change a lot of that. Women For Action: What sort of advice would you give a young woman who would want to pursue your line of work? The leadership is there in our community. The shoulders that I stand on is my grandmother and my mother. So they were working class women who didn’t go to college. My mother knew what she wanted for me. Growing up she looked for opportunities and thought, “What can I get my kid involved with? What kind of school should my daughter be going to, besides just the local crappy school?” You know she didn’t have a husband. She didn't have money. Yet she figured it out. Women For Action: What is the demographic for La Casa Norte? Sol Flores: We serve men and women and we serve youth and families. The majority of the folks that we serve are African-American and Latino. Within the realm of families, the largest demographic is single female mother head of households.There is still a significant number of people escaping domestic violence and those we called within the cycle of poverty— they grew up poor or they had experience with homelessness as a child, and now they’re experiencing it. We still see a significant number of mental illness as well as substance abuse issues, underemployment, and low education attainment are still challenges in our community. You have to think, how do you compete in the world with all those barriers? Women For Action: What else would you like to share with our audience? Sol Flores: I tell people all the time to share locally and I may hear “Well the work that you do is so great. Good for you.” Or, “I can never do that. That’s so great”. I’ve explained, well you have a consciousness, right? So what are the things that you care about and how can you be involved in supporting those things? So maybe You are not meant to professionally work in a nonprofit, like supporting our community or doing it professionally like your day job. Well there are a lot of other things that you can do. You can give them your time and you can give them your treasure. That’s what’s actually going to make the difference for communities. Yes we need more executive directors and good case managers. But we also just need great board members and we need people who can come out and volunteer. We need people to donate money and their old clothes. We need people to come out and tell politicians, “Life is important. We want more of our tax earned dollars going towards ending poverty and homelessness.” So I would say, find a way that you can be involved and the things that you are passionate about. You don’t have to be super skilled or dedicate an enormous amount of time or do it professionally. There are some things that each person can do. Also, learn more about the Latino Policy Forum's efforts to register 5,000 new voters through the Voto x Voto campaign.